SHIPmEnTT project, meeting of partners from Italy, Greece, Slovenia, Croatia, Serbia, Montenegro, Albania, Bosnia and Herzegovina, EC Adriatic Program. Taking the best experiences of cooperation between the University of Padova and the research, patent development and patents, technology transfer, experiences provided by the Competence Center, the University of Padova presented by Deputy Rector Professor Fabrizio Dughiero, UniSMART presented by Alessandro Mistretta and Riccardo Capolla coordinator of UniSMART. Intellectual property is one of the directions of this project. 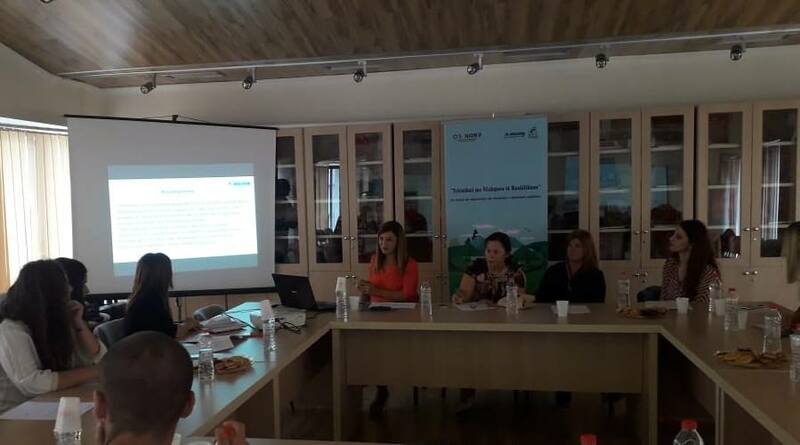 Today, in the public presentation of the project INClust - Cross-border Program Albania - Greece 2014-2020, with the participation of our partners in the project Municipality of Arta, Lead Partner, Municipality of Korça, Region of Ionian Islands, University of Ionian Islands, with the participation of local actors from private institutions operating in the field of culture: music, dance, isopolis, handicraft, theater, animation, painting, sculpture, photography, costume design, museums and cultural associations. 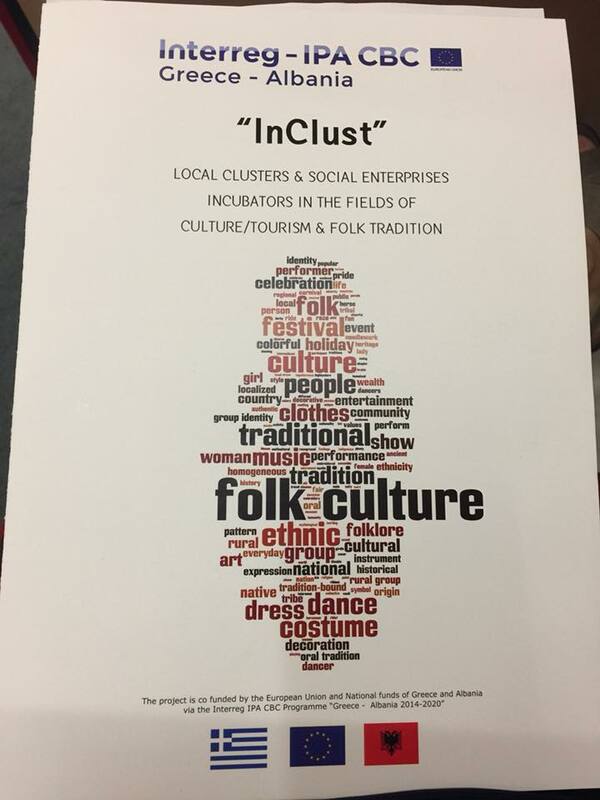 The project aims to create regional clusters in the field of culture, to provide personalized services to its members in the field of marketing, promotion and capacity-building based on the identification of needs, to implement an incubation program for public and private entities operating in the field of culture to create innovative social cultural entrepreneurship. The "Tradition" exhibition supported by Auleda in the framework of the Inclust Project, organized in collaboration with the Vlora Municipality and the Art Gallery, featured reproductions of 19th century paintings such as Eduard Lear, Onufri where cult objects, landscapes of nature from coast, urban environment, costume design etc. 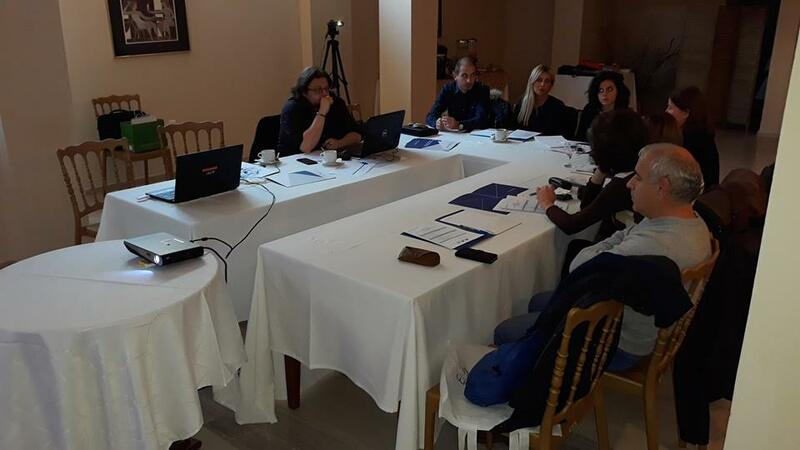 The 2nd Project Meeting for the project “Investment Development and Empowerment Action (IDEA)” was held on Tuesday, December 18, at the Byzadino Hotel in Arta, Greece. The objective of the project is the matching of supply and demand for social investments as well as the study and specialization of hybrid tools for the funding of organizations and actions of the third sector of the economy, which could be applied at local and regional level. The aim of the meeting was for the partners to present the project’s state of the art, discuss the progress of the project’s work packages and to decide on the steps that need to be taken for the realization of the rest of the project. The Market of Charity. 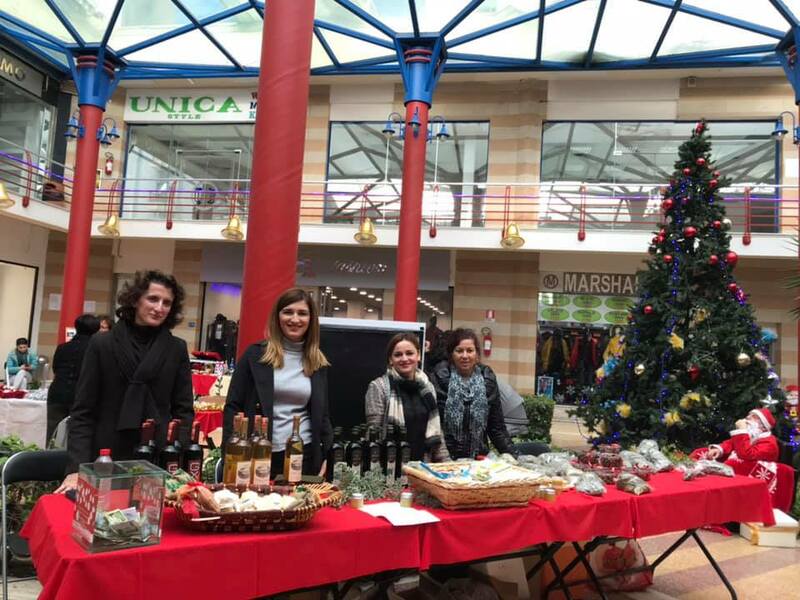 For the second time, Auleda - Local Economic Development Agency participates in the Market of Charity, an initiative of the General Consultant of Italy in Vlora Ms. Luana Micheli, supported by non-profit organizations, businesses and individuals with a prominent profile in Vlore. This year joined our initiatives, not just the two social enterprises of soap production, olive oil creams, olive paste, but also the businesses of the agro-food sector in Vlore. A thank you for the Balaj wine production business, Dukati, GX, olive oil Musa and Aulona, cheese Erzeni, Beuni, who offered free products to be traded in the Charity Market. Collected income will go to charity. 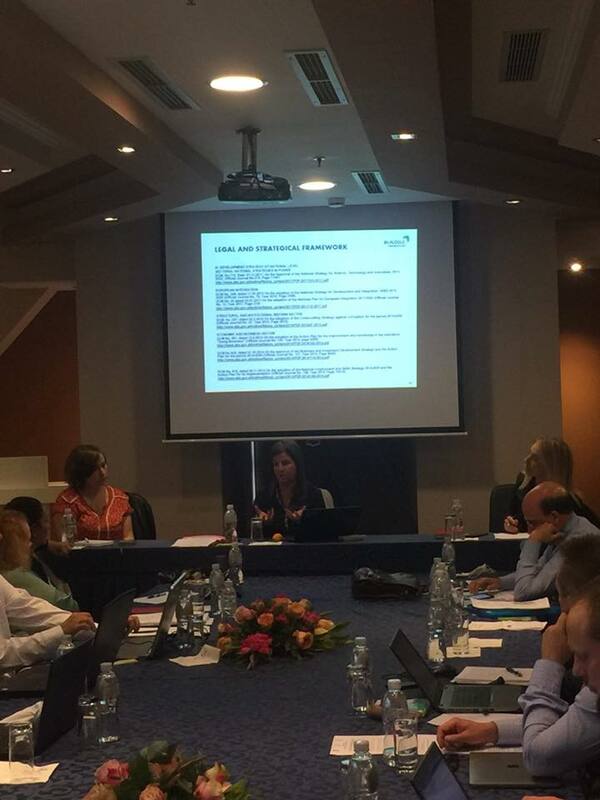 On 14-15 November, a meeting of partners from Greece, Bulgaria, Cyprus and Albania was held in Vlora for the INTERREG Balkan Focus Program. The goal of the project is to create transnational clusters in four sectors: milk processing, olive oil production, wine production, vegetables and fruit trees (citrus fruits, pomegranates), through the design of SMEs, scientific research centers, representative organizations business and agroindustry, civil society. In this meeting were presented good practices by the guests, Mr. Agim Rapaj for the role of Agribusiness Councils in Albania for Sector Development, Mr. Gramos Osmani- RISI Albania Program with the introduction of Global Certification - GAP, which enables SMEs in the sector to export, Mr. Alban Zusi - The agri-food industry association that brought the model of a successful cluster to advocating producers' rights, Ms. Aulona Veizi brought the experience of the Agricultural Technology Transfer Center in providing support services to SMEs. International partners visited the Agricultural Transfer Center, Invitro Laboratory, AULONA Olive Oil Business in Cerkovine. The olive oil tasting process and the olive paste testing produced by Ms. Gjinovefa Lazaj gave added value to this international activity. 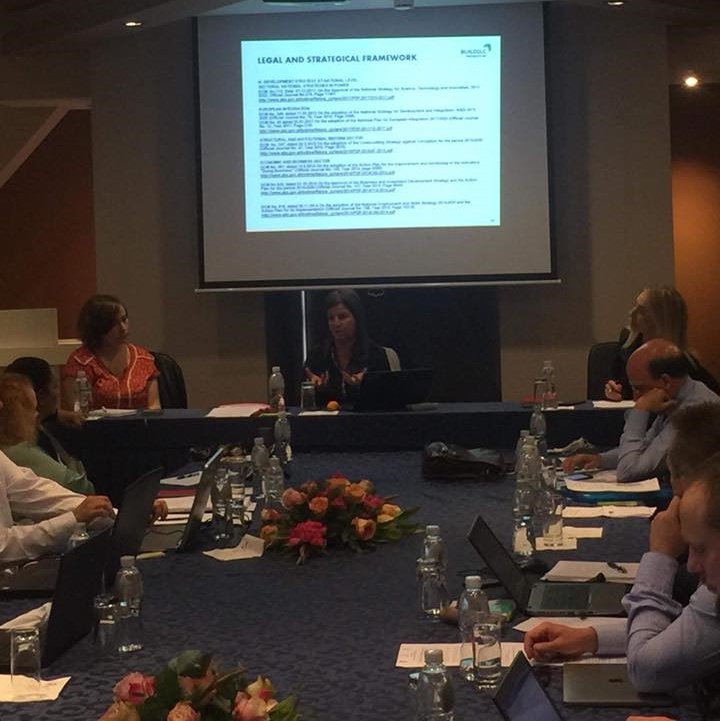 On November 10-11, a meeting of Trans-Ed-Net project partners - Transnational Education Network was held in Thessaloniki, Greece for young people in the field of tourism, where Auleda-Local Economic Development Agency is the official partner and the Regional Training Directorate associate. In this meeting was presented the Transnational Strategy on Vocational Education in the Field of Tourism, the Roadmap for Vocational Education, the common curricula in the field of tourism: sustainable tourism, transnational tourism, ICT in tourism and related industries, friendly tourism with the environment, these products are methodologically designed by Auleda and prepared in cooperation with partners from the Tourist Guide Organization - Sofie, Bulgaria, Aristotelis University in Thessaloniki and Municipality of Kicevo in the Republic of Macedonia. 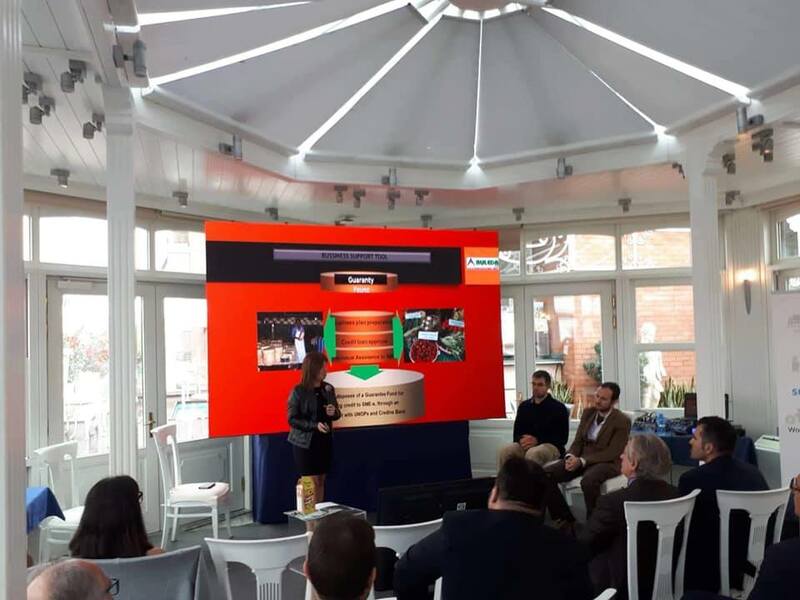 The project was presented by all partners with a participation in the Philosophy of Work and Industry Fair in Thessaloniki. 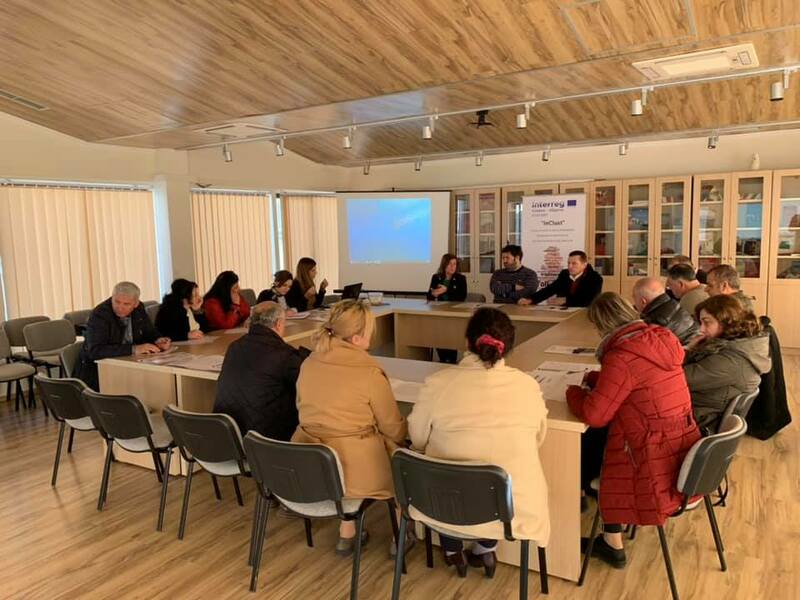 Public presentation of the Project SHIPMENTT, a project being implemented by Auleda- Local Economic Development Agency of Vlora within the framework of the EC funded ADRIJON Program. The project focuses on the creation of an international network in the field of maritime transport in Italy, Croatia, Slovenia, Greece, Serbia, Bosnia and Herzegovina, Montenegro and Albania. Identification of trends and megatrends in the field of shipping for logistics, security, innovation and technology, environment and environmental management, SWOT analysis for the Albanian maritime transport system, stakeholder database at political, intermediate, scientific and technological level, clusters and SMEs operating in the maritime sector were the activities that were shared with the participants in the event organized under the PASSAGE Project - Interreg Europe Program. 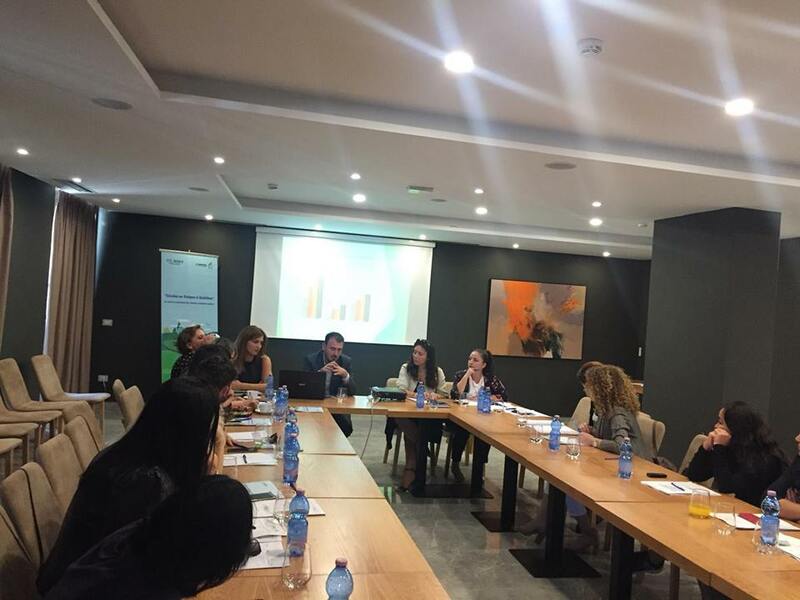 "Social entrepreneurship and Green Economy in Albania", International Conference organized by UN Women Albania. 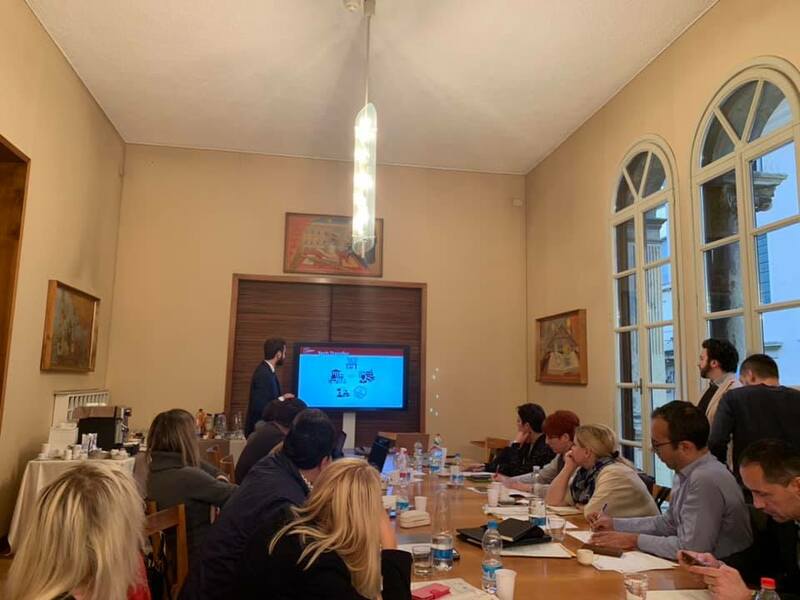 In this conference were discussed the legal context for Social Enterprenuers, the Circulating Economy, the Green Economy, Social Enterprenuership Models in Spain, Italy, Romania, Hungary, Greece, Montenegro, Macedonia, Albania. Albania's experience was presented to the Social Enterprenuers created by Auleda Agency, respectively: "Oriku" Enterprise for the production of olive-based and olive oil cosmetic products, Entrepreneurship of women's production of rugs in the Vlora River, Social Entrepreneurship of mental health patients for the production of flowers, Social Entrepreneurs of Rome and Egyptian youth in Vlora and Berat. The challenge, is the registration of Social Enterprises under the new law. 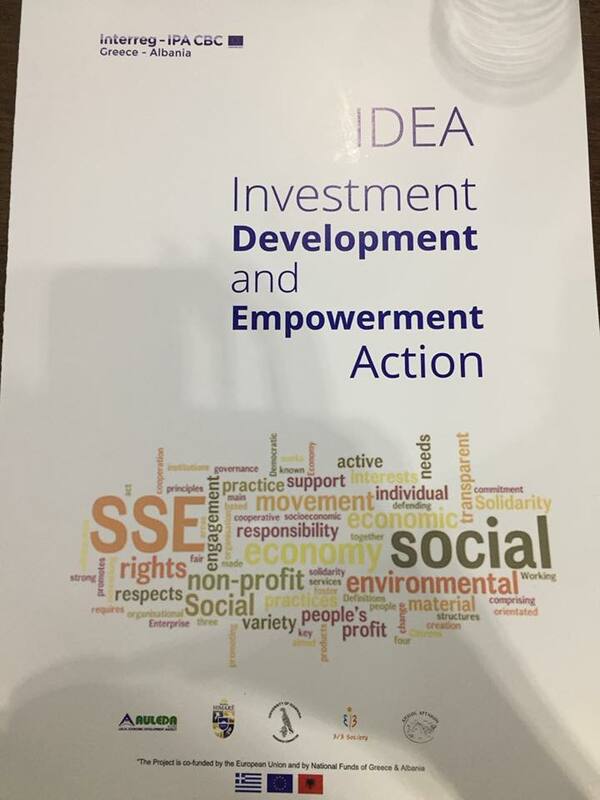 The IDEA project aims to create an Investment Fund for Social Entrepreneurship with well-defined criteria guides, creating hybrid financial models, funding tools and a strategy for attracting investors. The core approach will be the recording, capture, evaluation of supply and the demand for social investments is envisaged, by conducting field research and also specialized Focus Groups. 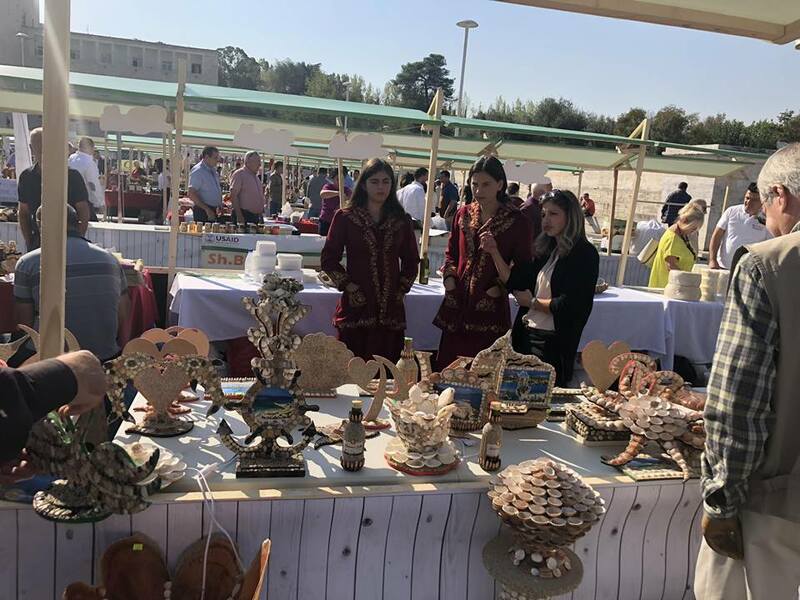 Auleda enabled the promotion of 12 local businesses at the fair "SHQIPERIA PUNON TOKEN" on the "Mother Teresa" square on 12 and 13 October 2018. Second edition of the largest fair of agriculture, livestock and agro-processing. In this edition participated 659 farmers from all over Albania, 70 food enterprises and 39 municipalities. The 23400 m2 exhibition space in the heart of Tirana turned into the largest exhibiting arena of Albanian product, tradition, music and culinary art. 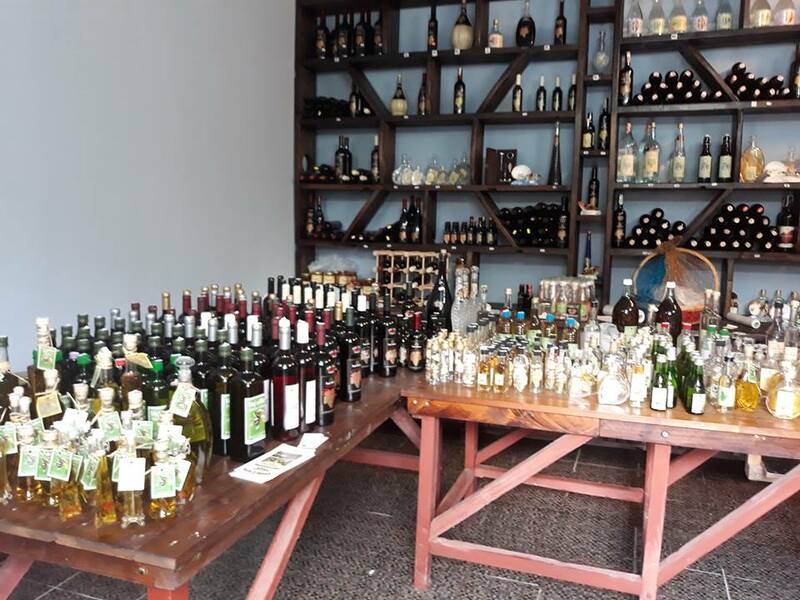 The district of Vlora was introduced with 50 businesses in the sectors: Olive oil, honey, medicinal herbs, dairy, handicrafts, wine, woodwork, costume design, music and art. AULEDA - The Local Economic Development Agency, Vlore, organized the closing conference of the project: Monitoring and Improving the Provision of Environmental Services through 'Training Observed Techniques' part of the SENiOR II Program - Support to Civil Society Organizations in Albania, which is implemented by the Regional Environmental Center (REC) Albania and is funded by the Swedish Government. Second project meeting of INTERREG ADRION SHIPMENT project (Strengthening Intellectual Property and technology transfer processes in green sea mobility sectors), a project designed to: Improve the innovation and entrepreneurship capacity of the Maritime SMEs in the ADRION area; Develop links and synergies among enterprises, research institutions and academia and business support organizations; Support networking, clusters and incubators; in the field of blue technologies and green see mobility. Auleda, attended the Conference organized by DRTK Vlora for the promotion of Cultural Heritage and Materials. This conference was in the framework of September 29 "National Day of Cultural Heritage". Of great interest was the presentation of Vlora County Artistic Masters and the projects implemented and implemented by DRKK Vlora for the return of archaeological and cultural monuments accessible to all visitors. 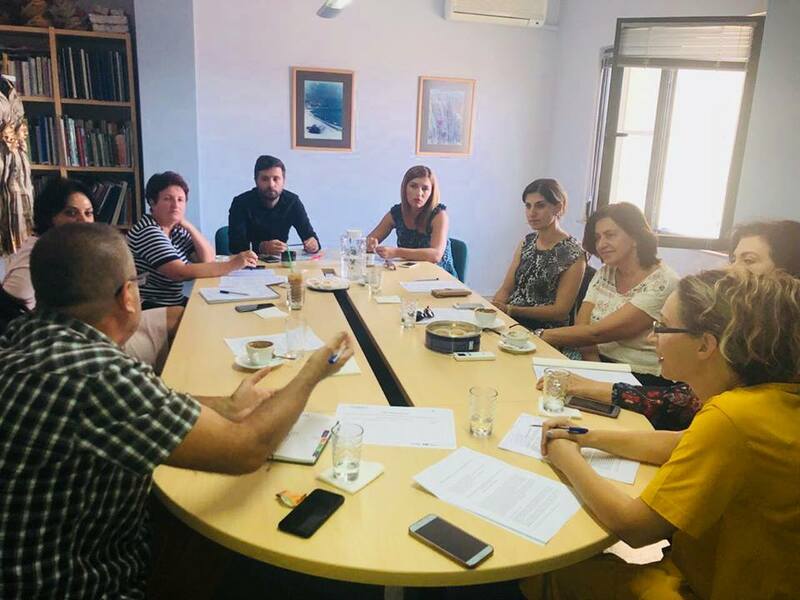 These initiatives are in full synergy with the INCLUST project being implemented by the Local Economic Development Agency Auleda in the framework of the IPA CBC Greece-Albania Program. AULEDA - Local Economic Development Agency, Vlore held the premises of the Regional Youth Center in Vlora, Public Hearing with representatives of the Municipality, Municipal Council, County Council, civil society, local actors and community from the monitored areas within the Project: Improving the Provision of Environmental Services through New Technique with Trained Observers ", #Senior II Albania Program, implemented by the Regional Environmental Center REC Albania, under the financial support of the Swedish Government Embassy of Sweden in Tirana. At IKU offices, a network meeting for environmental services was held ' following the work on the implementation of the project: Improving the delivery of environmental services through "Training Observers Techniques" within the framework of the Senior Albania program, implemented by the Regional Environmental Center REC Albania, under the financial support of the Swedish Government Embassy of Sweden in Tirana . 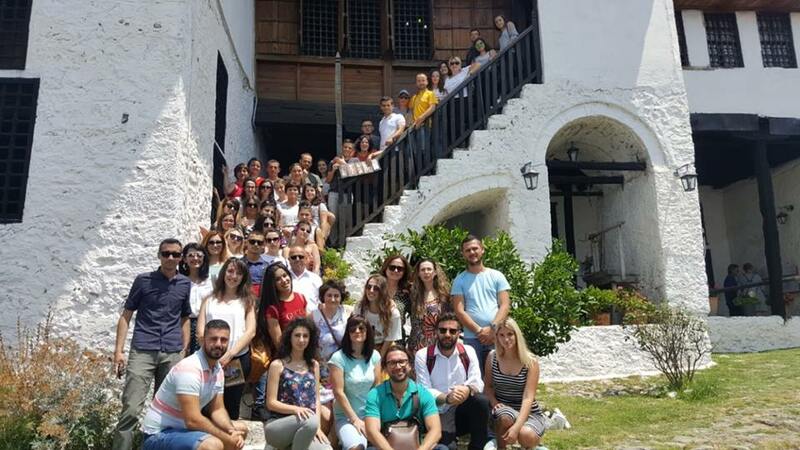 AULEDA - Local Economic Development Agency, Vlore, together with the Trained Observers group were part of the Study Visit, which took place on July 16, 2018 in Kruja with the Environmental Services Network organizations within the SENIOR II Albania #SeniorAlbania program implemented by the Center Regional Environmental REC Albania with the financial support of the Swedish Government Embassy of Sweden in Tirana. 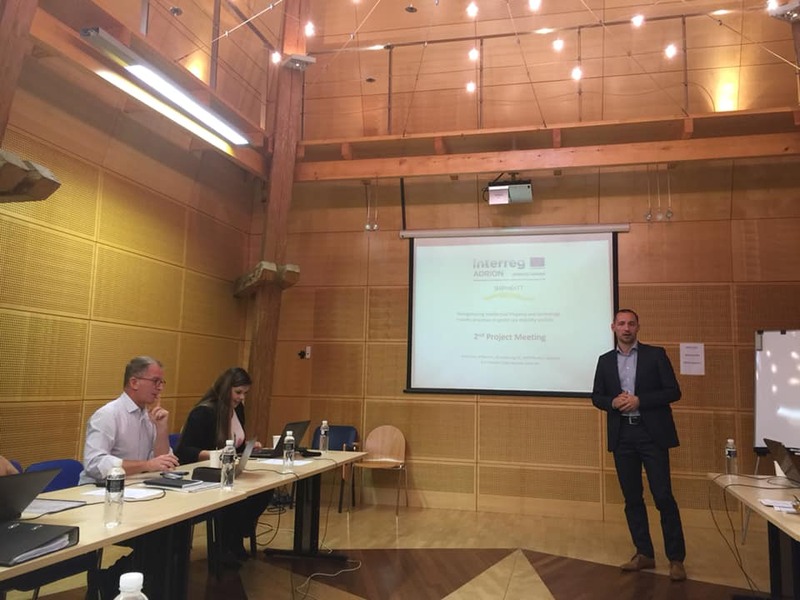 Within the Focus project: Strengthening competitiveness of agri-food SMEs through transnational Clusters, of the Med Balkan program, AULEDA - The Local Economic Development Agency carried out field visits, in Vlore, of selected local producers. These selected SMEs were invited to become part of the Mediterranean Balkan Cluster for Agro-Culture and Agroindustry together with 60 SMEs operating in these sectors in Greece, Bulgaria and Northern Cyprus. For Cluster created, a promotional and interconnecting platform will be built. 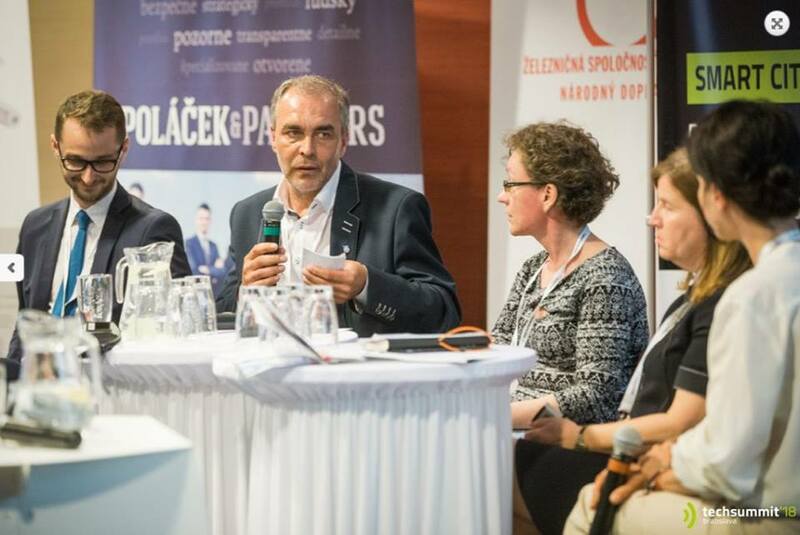 TECH SUMMIT - Bratislava, Slovakia, Executive Director of Auleda Dr. Mirela KOCI participated in the discussion panel at the SMART CITIES session. Smart INNO and SSMNature project implemented by Auleda, good practices identified to be promoted at European level. Promotional opportunities for over 30 innovative Start-ups in Europe. 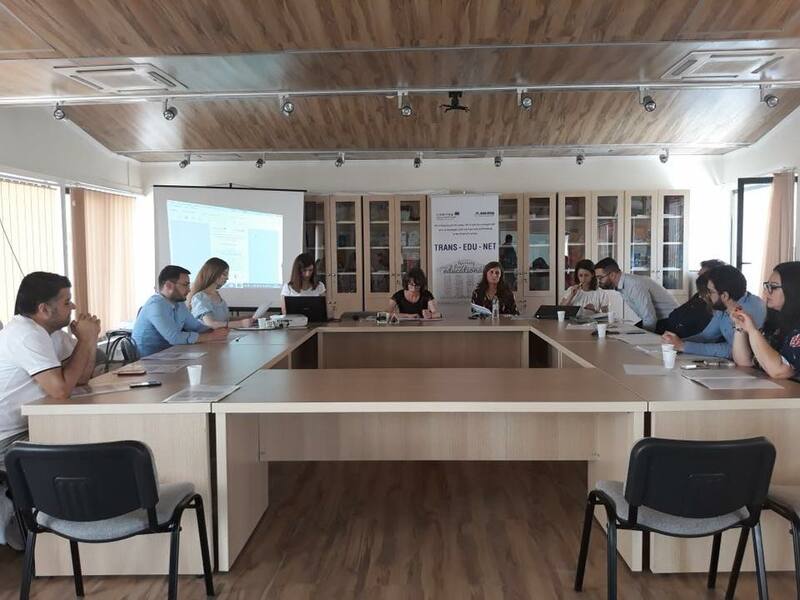 Project Focus-Med Balkans Program - Fair with SME Businesses It was held on May 14, 2018, near the square 'Tre Racat', Vlore, the local businesses fair within the Focus-Med Balkans Program. 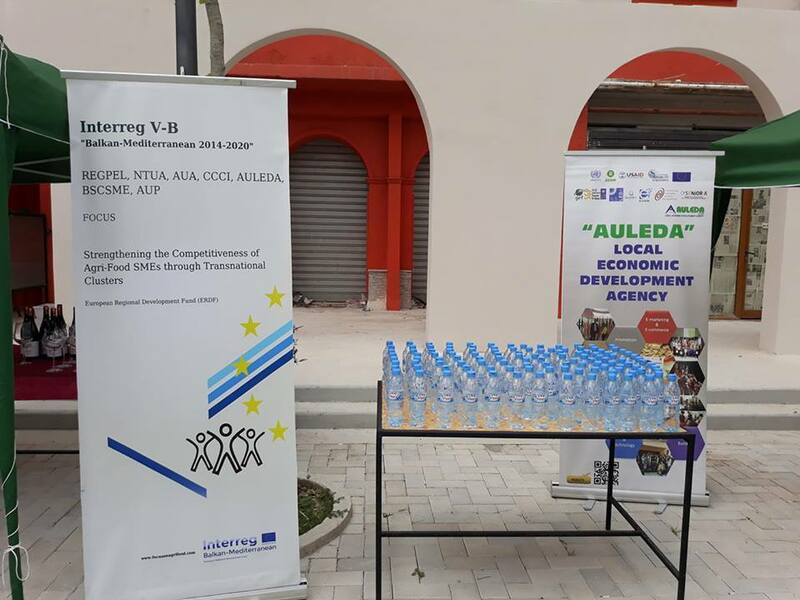 AULEDA - Local Economic Development Agency of Vlora Region, enabled the involvement of businesses operating in the field of agro-industry. 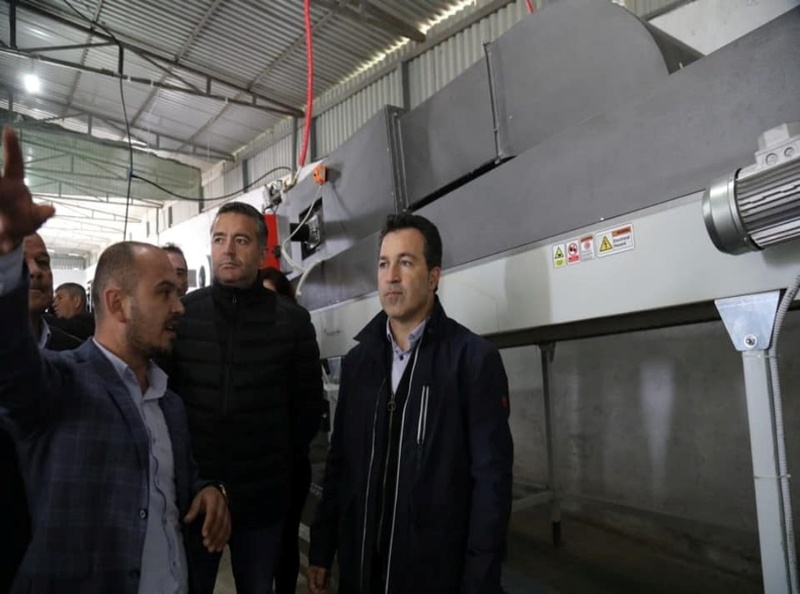 Present at this event were olive oil producers, wine producers, olive paste producers, olive oil soap producers, fruit producers, representatives of the Vlore Agricultural Technology Transfer Center and Vlore Municipality. The event was engrossed with the folk music of AULONA FOLK 2018. 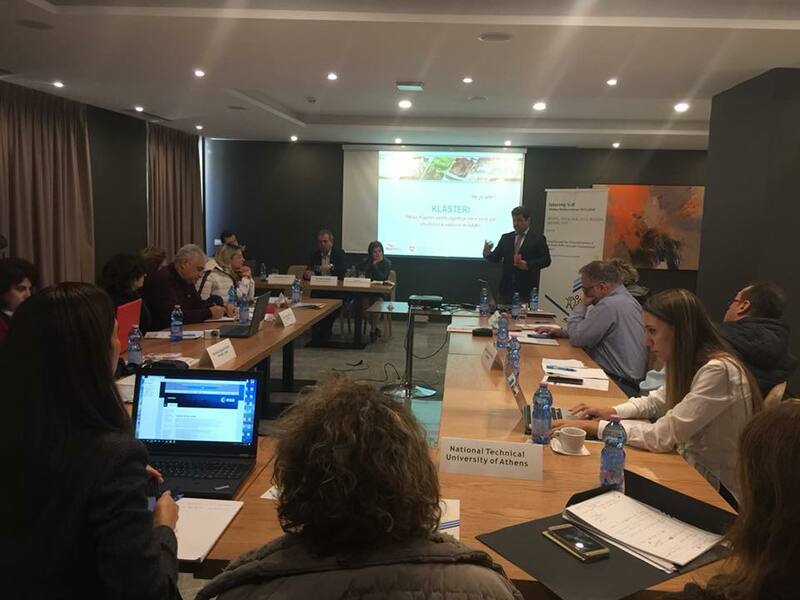 The Focus- Interreg Med Balkan project, environmentally friendly production, organic production, agro-industrial innovation, eco-technology, renewable energy in the manufacturing process, international cluster in the agro-processing and agro-industry sector, are key words of the project. Public institutions at central and local level, local agricultural and agro-industry institutions, scientific research centers, universities, chambers of commerce, NGOs operating in the sector, SME-s and co-operatives have been invited to become part of the Mediterranean Balkan Cluster for Agro-Culture and Agro-industry. 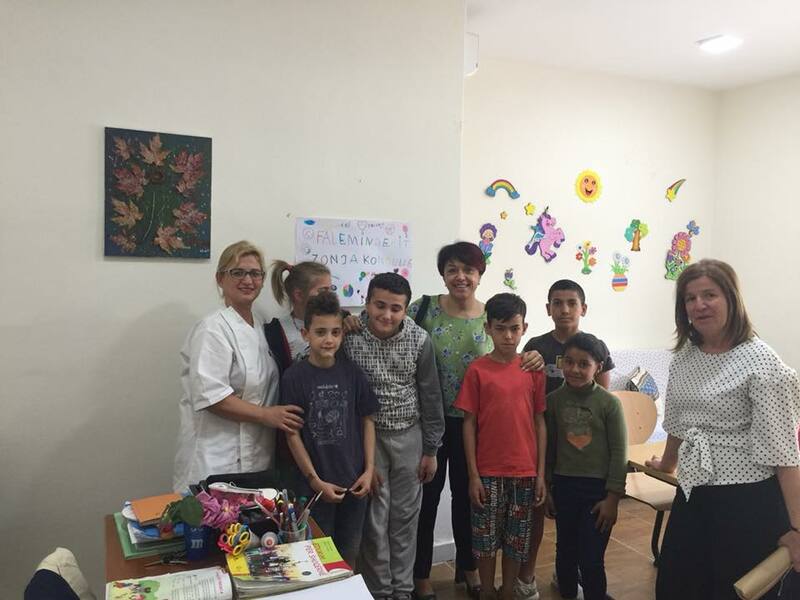 Today, with the General Consul of Italy in Vlore, Ms.Luana Micheli at the PLM Special School premises to donate 9 didactic wards, personal contribution of the Consul as well as a range of didactic tools, gifts and contributions from Auleda, Local Economic Development Agency, Youth Center, Protect Me Albania, Laboratory "Caravelli ", Intesa San Paolo Bank, Love Italy, dedicated staff of the consulate in Vlore, and some honored Italian ladies living in Vlora. Collaboration to evaluate the tireless work of teachers and educators of this school and to give pupils confidence and confidence. 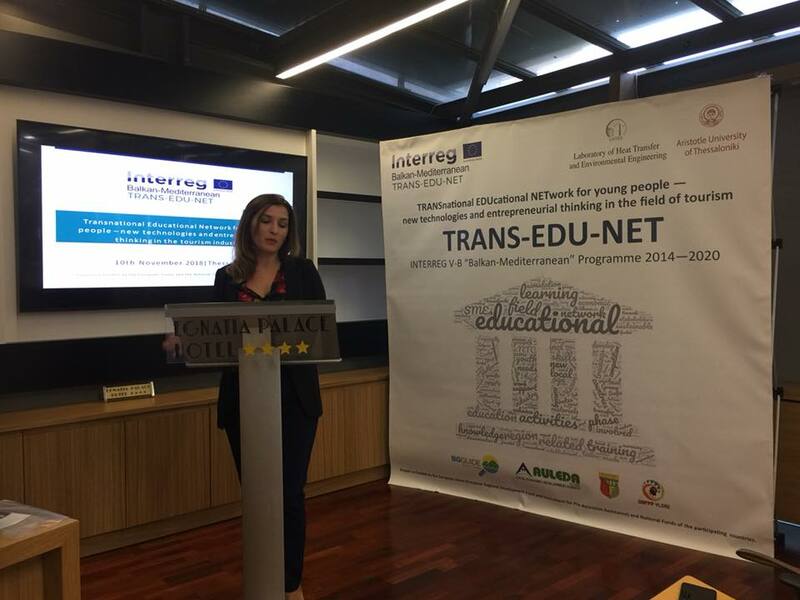 2-nd Partners Meeting Trans-Edu-Net Project- "Transnational Educational Network for young people - new technologies and entrepreneurial thinking in the tourism industry." 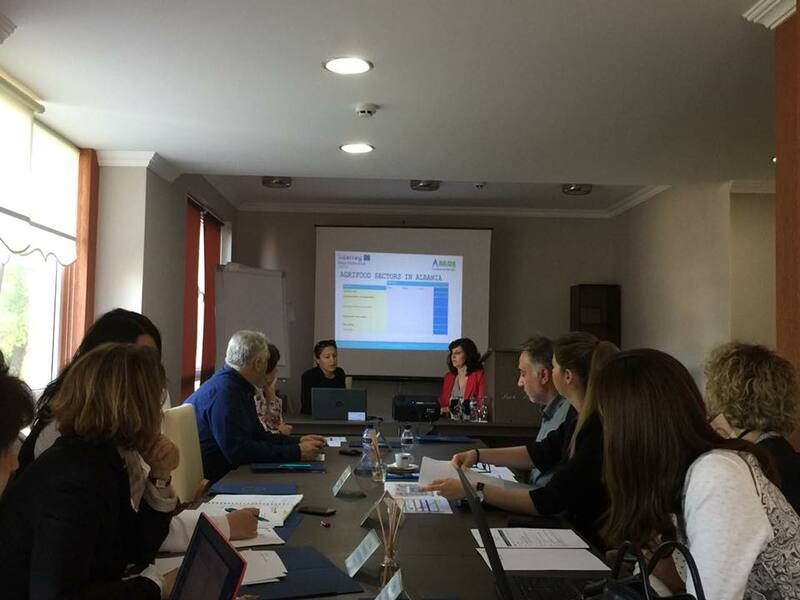 INTERREG BALKAN MEDITERRANEAN 2014-2020.